I write Amish romance novels, so I find it helpful to speak with Amish and former Amish folks when I can. I’m lucky enough to live near a good sized Amish population, so they pop up regularly as I go about my errands. At first I was very nervous about striking up a conversation with an Amish person. I settled for observing them whenever I ran into them at Spence’s (our local bazaar) or Walmart or the chiropractor. Ah, the (hopefully) subtle art of gathering details while trying not to stare! I’ve seen Amish women buying dog food and paper towels at Walmart. I’ve seen a boy stand behind his mother in line at the grocery store holding a candle – her Christmas present – and his money behind his back. 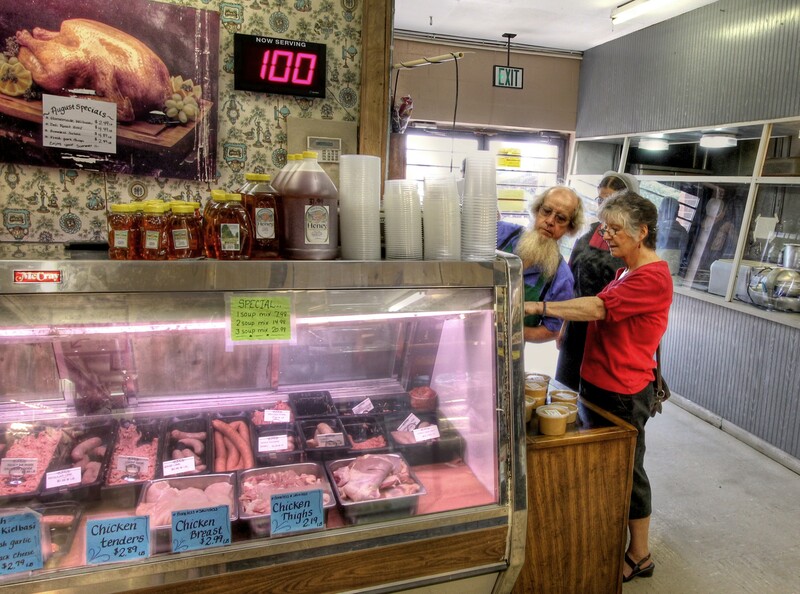 I’ve seen Amish men and women serving food to the public at Spence’s food court, making the same faces that Englishers do when a customer changes her order three times in under a minute. As I observed the Amish, I had a profound yet almost silly realization: Amish people are people. They have the same human strengths and flaws as myself and the rest of humanity. They are not a new species that need to “figured out” before a conversation can commence. The secret to conversing with the Amish is to approach them the way I would like to be approached by a stranger: not with gawking or twenty questions about my beliefs and background, but with respect and a smile. So I comment on the weather, I compliment their dress or their glasses, and I wave to their children as our grocery carts pass in the aisle. I still take feverish mental notes for later use in a novel, but I’m more relaxed now about interacting with the Amish, human to human.